Survived my 1st ever 5K run and placed SECOND! and the REALLY good news is that I actually placed 2nd in the men's age 50-59 age group. Not bad for absolutely NO training....no pre-race walkabouts...nothing. They awarded me a "silver" medal and a ribbon. Wish me luck. I'm going to be in a 5K run tomorrow (Saturday). Hopefully I won't have a heart attack at age 51. I'll let you know how it goes...maybe even have an audio blog. We're back safely from New Mexico/Colorado! Click on the above link above (Experimental Podcasts) to hear a collection of my latest experimental podcasts. And drop me a line if you listen... or post a comment below. locomotive on narrow gage track. rose at a 1.4% grade at a speed of about 18 m.p.h. you can access for a panoramic view of the scenery. a $12 book entitled "Ticket to Toltec" by Doris B.
mentioned to Terri that the Ms.
which made for a wide variety of geologic history. turned it on once to see how fast we were travelling). gallons of water (in less than 5 minutes). Our lunch was a full hot Thanksgiving turkey dinner! electric power via diesel generator! got some great digital audio recordings. as much as the Grand Canyon. an incredibily brilliant yellow aspen theme. enthusiasm for preserving the rail line. train journey into the American and geological past. 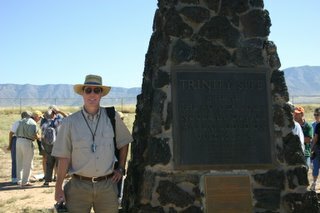 Calling in from Ground Zero at the Trinity Site. 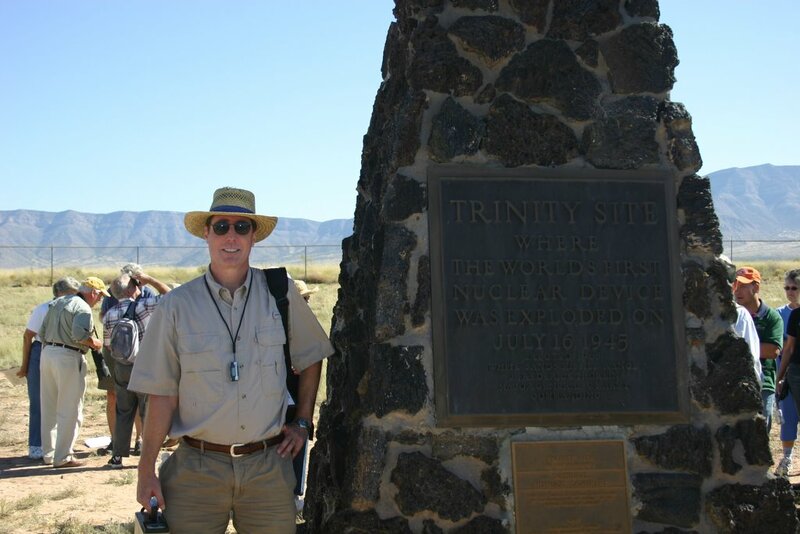 Click on the link below to hear my audio blog from the site.